This was as hard for me to read as it probably was for you to write. I still wonder what life would have bern like if I had not lost my baby too! Thanks for sharing this. God bless your soul. Thank you S N A for your sweet comments! Very thoughtful of you. And I am so sorry for your loss as well. )-: May the Lord give you strength all of your life to cope with your devastating loss. God bless you too! You’re welcome. Thank you for your words of kindness and blessings. Jamie this was beautiful, I cried so much…Your words were so truthful and beautiful..I remember her eyes were violet..she was beautiful, and she wasn’t down syndrome like they said…but even if she would have been she still would have been beautiful..They are all God’s precious children..
Hello, I saw your blog shared on a Facebook page I follow and have been reading a few of your beautiful posts about your precious Ariana. I’m so sorry she is not here with you, but what glorious hope knowing you’ll see her again! She is my first and only born baby as of right now. It’s a unique grief to lose your only child, I’m sure you understand what I mean. Thank you for sharing and being a voice for those of us with babies in Heaven.. You point to Christ with your words and also show how devastating stillbirth is and that it’s not something one ever “gets over.” It’s also refreshing to see a father blogging about stillbirth, which is rare. I’m not with my daughter’s father now and I hope he will carry his love for her the way you do for your daughter. We aren’t in touch at all. I do know he was heartbroken when she died and was greatly looking forward to her being here. Hi Hannah!! Thank you so much for your sweet words!! I have been on your website looking around quite a bit. I will be back many times I’m sure. In fact, I saved your page to my Pinterest Board for Stillborn Babies. All I have to say is that your little Lily Katherine is so precious. She is beautiful. I couldn’t listen to the song just yet. I remember crying so hard when I heard the Greene’s sing their song about “Jesus has a Rocking Chair.” Wow, very powerful stuff. May the Lord continue to use you mightily to bring comfort to others who have gone through a similar fire as you have. He has already used you to bring comfort to me. (-: God bless you sister! I had to wonder about the prophecy that said my son would reach people for Christ without saying a word. Did God’s word through His servant return to Him void? Perish the thought! And in the 14 months since my novel has been published, I’ve received a few accolades. Even a Book of the Year Award. But what means the most to me are the emails telling me how much my book has encouraged someone going through a similar loss… any loss. How much they NEEDED to hear what I had to say. Hi, Jamie! I’m sorry for you and your wife’s loss. I pray that the Lord continues to help and comfort you and your wife. I know how difficult it can be to loose a child. I lost two children who were alive many years ago due to domestic violence. The beauty in stories like yours and mine is the testimony we have to share with others. Your daughter lives on through your testimony and her death seems to have brought you closer to the Lord. Now your daughter can touch the lives of many people. God’s divine plan for our lives can be difficult to understand during those turbulent times but, he knows what is best for us. God’s divine plan for my sufferings and losses was to ultimately blog (The Lord is Calling) my story too and to share him and his love with others. To tell others how he has transformed me and changed my life. Praise the Lord! Thank you Linda for your heartfelt comments!! I have been on your website, and wow, what a story you have as well. You are able to comfort others with what you have been through. I hope to stay in contact with your site, and all the great resources you have there. (-: God bless you, and may the Lord continue to use you mightily in His Kingdom…..for the benefit of many others. Jamie, I had tears in my eyes as I read this. Thank you for allowing readers into your private thoughts and feelings. I know God will use your pain to help someone (maybe more). This was so beautifully written and captures exactly what it is to lose your baby and the future you had mapped out for them. I lost my daughter Isabella Grace on 13th March 2010- the day before Mothers Day here. You’ve captured so much of how I felt – how can you go home knowing your baby is dead inside you? 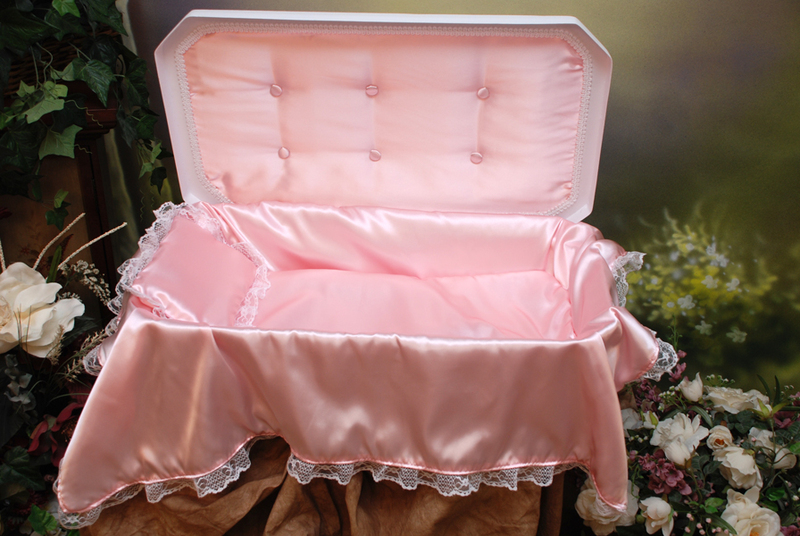 How can you be planning what to put in her coffin instead of wondering what to dress her in. I remember sitting in the funeral home arranging it all and watching people walk past outside thinking how impossible it seemed that they could just be going about their normal duties when I felt that my heart was actually physically broken. I remember dreading delivering her and seeing her – wondering whether she would look dead or just like she was sleeping. I also remember how excited I was so see her – to find out if she was a boy or a girl and what she would look like. Then how proud I felt of this beautiful perfect baby girl God had given me, however briefly. My husband felt really angry that if there was a God (he’s not a believer) that he would take our baby. I just felt at peace that his way is perfect and whatever his reason for this happening, he doesn’t make mistakes. I believe that this happened for a reason – that maybe she was really sick and this saved her from a lifetime of pain. I take comfort in the fact she never experienced any pain of this earth – she fell asleep warm in my belly and woke up in the arms of Jesus. I have that on her headstone “born into the arms of Jesus”. I know that people wouldn’t believe it but when she was born she was smiling. She had one arm behind her head and was smiling. It looked like she had fallen asleep and smiled when the Angels came to take her home and that’s massively comforting. Wow, Vickie, thank you so much for sharing these comments with me! I apologize for taking so long to get back to you on this. Every time I wanted to take time and think through it, I kept forgetting to come back to it! Guess I am getting old. )-: Please forgive me. This is such a heartwarming story you tell here. “Born into the arms of Jesus” I LOVE it!! What a perfect phrase for a stillborn baby! And yes, I am quite certain that our babies are great friends and supremely enjoying being in the presence of our Savior! One day, we will worship Jesus together with our babies. Isabella is in perfect joy and peace right now, with no pain. Same with my baby, Ariana. Let us look forward to the day when we will have the greatest family reunion ever! God bless you, Vickie.